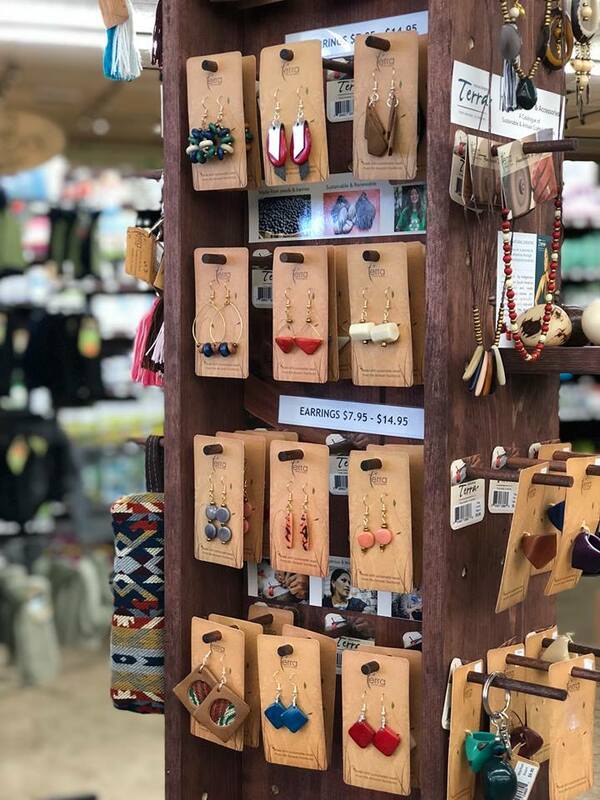 Find Terra Natural Designs Jewelry at all Clark's locations today. These seeds have the ability to help the human body to be healthier and more balanced. The amazing qualities of these seeds, berries and nuts are not only available when they are eaten but also when they are carried on the body. We strive to connect you to women in South America that live in harmony with Na- ture and want to share their knowledge about healing and Natures medicine, through products that are made from renewable materials that orig- inate from the Amazon Rain- forest itself. Our passion is to communi- cate about this sustainable alternative, and at the same time create beautiful pieces for women to look incredible and powerful. At the same time, raise the vibration of their every day life with Medi- cine Ornaments.